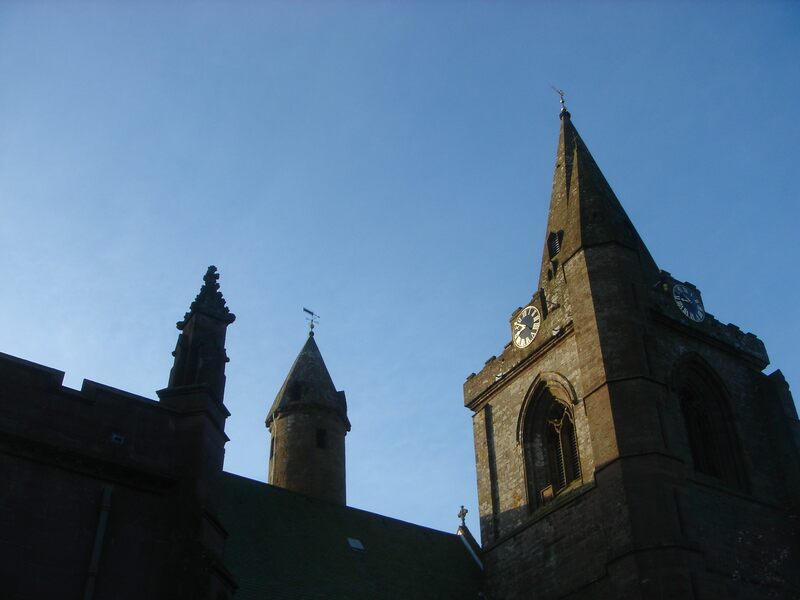 I took the ferry down to Aberdeen and went south to Brechin yesterday, to pick up a printing press. There is a fantastic old Cathedral there built where a Celtic monastery stood in the 900’s. This round tower was built around 1100 and is one of only two of its kind in Scotland. I had a nice quiet time there and a walk along the creek. Neat…have you been to East Anglia and seen all the round towers on old churches there? I haven’t been anywhere else in the UK with so many round towers. i think its the Irish influence. Probably a lot of them over there. I was born and raised in Brechin and came to America in 1986 when I was 21. I had to laugh when you said you took a walk along the creek. We prefer to call it the River Esk but I guess levels were low and so creek it is! actually, it was in full flow, a mighty ripple pounding its way through the town, terrorizing the locals and scaring dogs with its omninous roar! what a spectacular RIVER it was . . .
did i really say “creek”? Next Post (n)	Problogger Darren Rowse owes me a coffee!